This year's theme is all about connecting with all of the generations, learning about what each generation is like, the differences in their spirituality, and equipping everyone to be witnesses to each generation. Nestled on 500 acres along the spring-fed Guadalupe River, Presbyterian Mo-Ranch Assembly is located in the heart of the beautiful Hill Country in Hunt, Texas. Come and explore the adventure of the Hill Country with an abundance of land and water recreation, sports activities, hiking trails, high and low ropes course and the great outdoors this summer with FPC! It is a wonderful time to gather as an FPC community, enjoying fellowship, learning, and God's beautiful creation. This year's Featured Speaker will be Rev. Dr. James Choung, Vice President of Strategy & Innovation at InterVarsity Christian Fellowship USA. Rev. Dr. James Choung serves as Vice President of Strategy & Innovation — overseeing evangelism, discipleship, planting, growth, missions, and multiethnic initiatives — at InterVarsity Christian Fellowship USA. He is also ordained with the Vineyard USA, and has written both True Story: A Christianity Worth Believing In and its follow-up, Real Life: A Christianity Worth Living Out. He speaks frequently at campuses, churches, seminaries, and conferences, and teaches seminary classes on culture, leadership development and evangelism. He is thankful to have his work featured in Christianity Today, Leadership Journal, Outreach Magazine, and exploregod.com. James wrote his D. Min. dissertation on postmodern leadership development at Fuller Theological Seminary, received his M. Div. from Gordon-Conwell Theological Seminary, and studied management science and marketing at MIT. 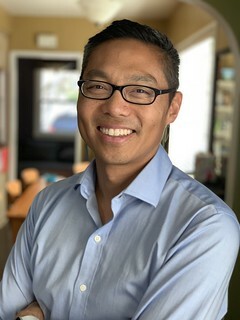 He has previously served on the pastoral staff of a Boston-area urban church plant, of a megachurch in Seoul, and led an LA-adjacent house church. As for other interests, he has led worship at various national conferences including the Urbana Student Missions Conference, and sat on boards for higher education and an overseas business startup. For fun, he likes to travel with his wife, tease his two sons, spoil his daughter, bask in Los Angeles’ endless summer, and swing a racket in hopes of playing something like tennis.